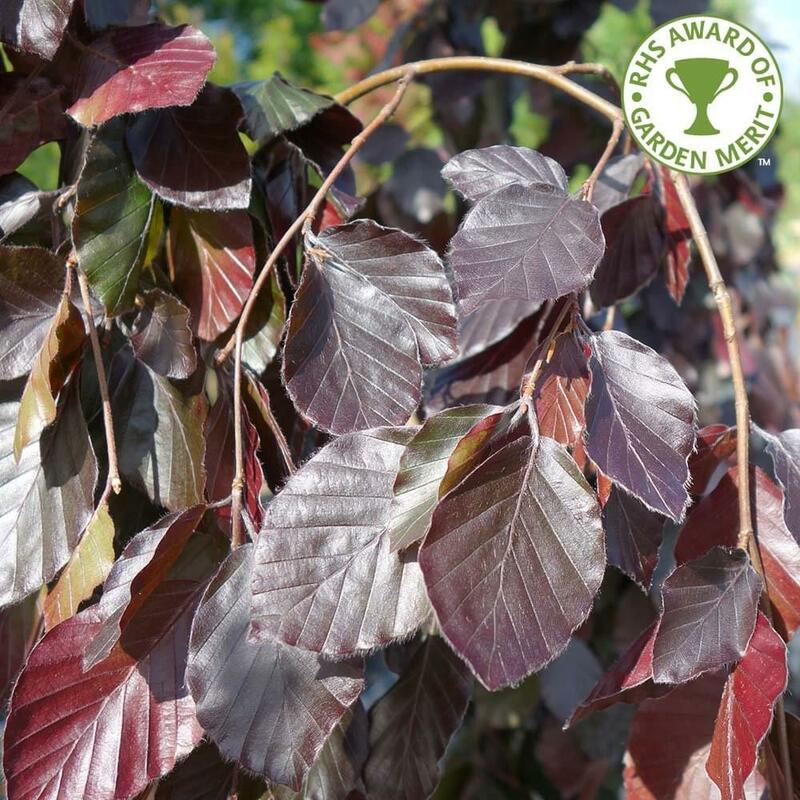 Fagus sylvatica 'Purple Fountain' looks truly astonishing when its red/purple foliage emerges in the spring, turning purple/green and then bronze and gold in the autumn. The pendulous branches of this Purple Beech sweep down from the central leader, some reaching the ground. 'Purple Fountain' is a beautiful slender weeping Beech tree that will grow to 8 x 3 metres in 20 years and can tolerate an exposed site. Most soils will do, but avoid very wet positions. Plant in full sun for the very best colour. When planting weeping purple beech trees, such as Fagus Sylvatica Purple Fountain, it is important to prepare the planting area well. Pot grown beech trees can be planted at any time of the year. You will need to carry out the following to prepare your planting site.